This one of a kind Tarot bag is something really special, a fitting vessel to protect and honour your deck. 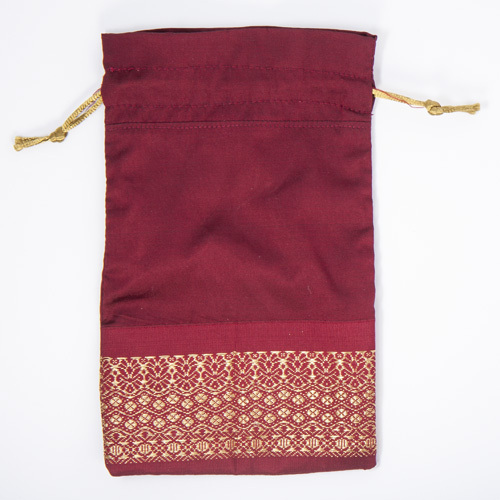 The material comes from a silk saree, which was offered to and blessed by the Mother Goddess, and was hand-crafted by the women of Spun Studio at Sistering.This silk, fully-lined bag, fits all standard size Tarot decks. 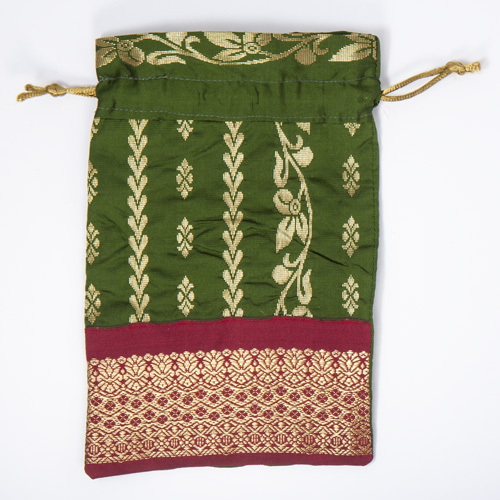 The material comes from a silk saree, which was offered to and blessed by the Mother Goddess at a Temple in Toronto, and was hand-crafted by the women of Spun Studio at Sistering. 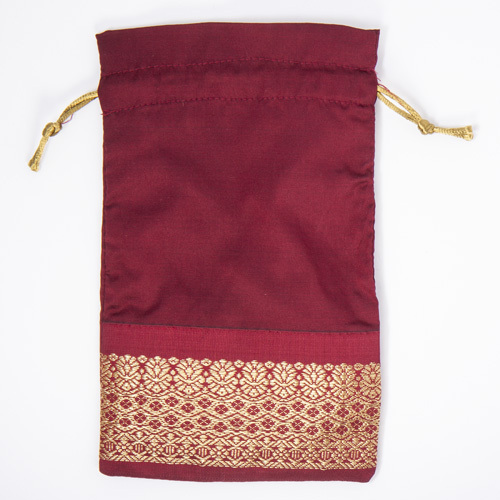 The sarees used to create these Tarot bags are Prasad, a gift that is offered to and enjoyed by the Goddess, and then distributed to devotees. 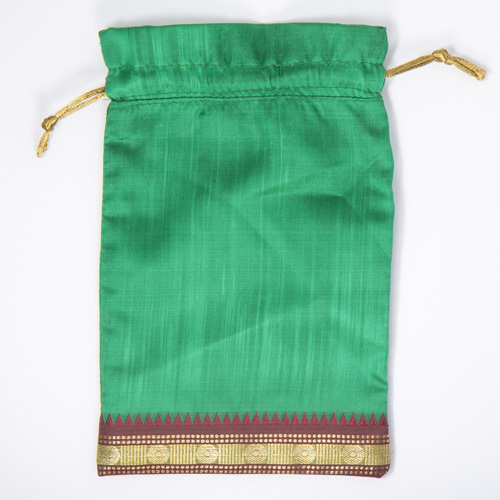 The Prasad is considered to have the Goddess’ blessing residing within it. 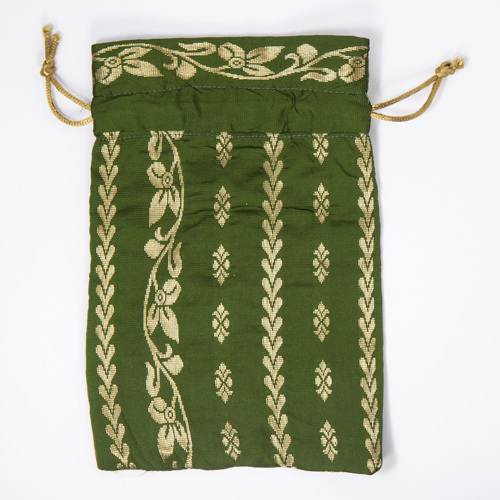 This silk, fully-lined bag, which fits all standard size Tarot decks, was hand-crafted by the women of Spun Studio, Sistering. Spun Studio is a textile studio working with women affected by homelessness, poverty, trauma and social isolation. 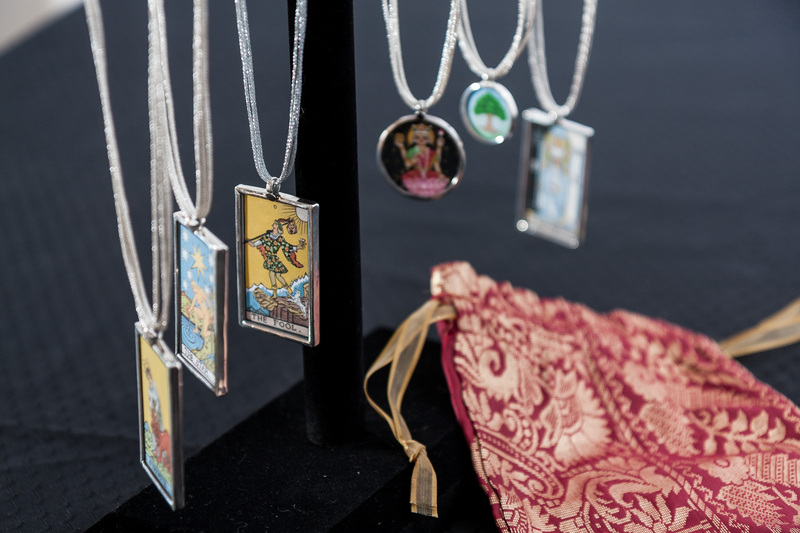 Participation in the studio provides women who have been marginalized from mainstream economic opportunities a chance to engage in alternative economic and community development activities. Women’s involvement in the studio also builds community and a sense of belonging as well as increased self esteem and self worth. 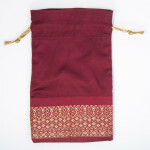 All Inner Goddess Tarot bags are handmade and one of a kind. They each have their own personalities and quirks, there is no fixed size. 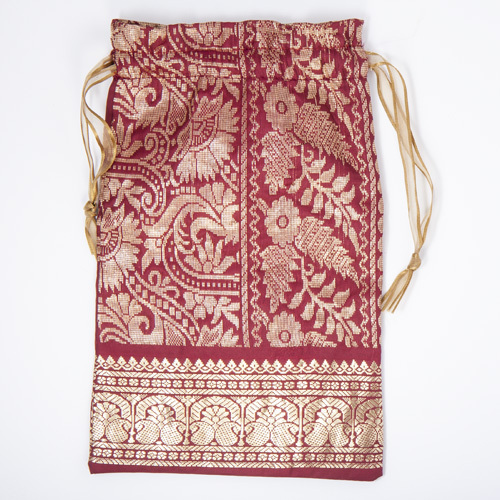 However, all the bags have been imbued with positive Goddess energy and can hold a standard size Tarot deck (bags are approximately 8″ by 5″). 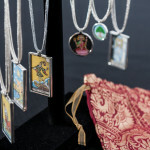 Be the first to review “Hand-crafted Silk Tarot Bag” Click here to cancel reply.